Snapdragons are excellent to use if you are doing-it-yourself. Our flowers come in bulk with shades of white, pink, yellow, deep red, burgundy, orange, and lavender. They are always freshly packed in bunches of 10 stems each, standing between 24-32 inches tall. They are shipped directly from our farms in South America with year round availability. They are typically used as complement flower filler for taller arrangements, especially where length and color are needed to brighten up the event area. Please note that some normal bending is observed with this variety. 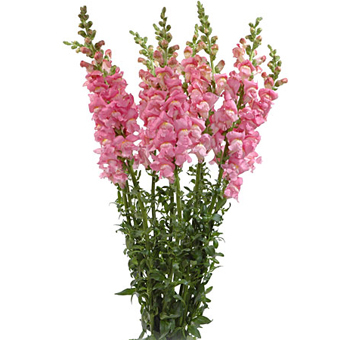 Snapdragon flowers grow as bright blooms in the cold weather which stands out from everything else in the season. The blooms usually start growing from the stalk as they grow upwards, they have a long period of bloom. It comes in a distinct range of colors like pink and purple snapdragons. The vibrant tone of the flower is popularly used in many flower arrangements. The English name of the flower refers to its overall shape of bloom. The botanical name was derived from a Greek word, which refers to a nose-like structure. The Greeks had two exciting names for the flower, the other name was Kynokephelon, which refers to the dog-head shape of the bloom. These flowers can be traced back to Southern Spain, some parts of North America, and America. These flowers can be tender perennials but are mostly annuals. The tall blooms of snapdragon cultivars can be used correctly as long-lasting flowers to showcase. They can be used to complement the borders for any flower arrangements and any cut flowers. The short variety of the flower can be used to set up the edges and borders of arrangements. 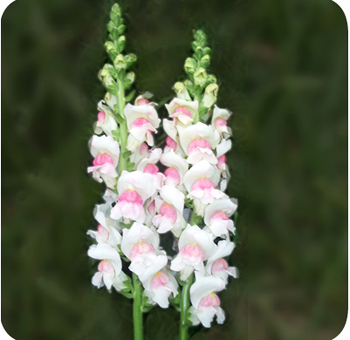 There are over forty different species of the flower within the genus of Antirrhinums. For ages, people have been surprised by the beauty of the snapdragon flowers. These flowers carry many meanings with them. According to legends, they are similar to mythical creatures are they readily resemble them in many ways. In many cultures, these flowers are used during celebrations. With its graceful presence, these flowers represent strength as they mostly grow in rocky areas. Following the trail of its name, the flower is also known for its deviousness. Since the time of the Roman Empire, these flowers are sincerely loved by many. The Romans loved the flower as it spread through parts of Europe and their empire. They referred to it as the lion's mouth, which resembles its shape. Essentially, they have become an essential part of many mythologies which are embedded with elaborate symbolism. These flowers are known for their quality of deception and beauty, hence are used to stand against the power of negativity and falsehood. Back in the Victorian times, these flowers were used to send secret messages as it's widely known for its truth-telling ability. These beautiful flowers are given and showcased to represent great strength. Snapdragon bouquets can be used at weddings to add to the elegant look of the bride. There are many different names for this flower including toad’s mouth, lions face, or even a calf’s snout. Snapdragon flowers can grow as high as 5 inches to 3 feet. You can get fresh snapdragon flowers for sale from trusted online florists like Whole Blossoms. The mesmerizing flower comes in a variety of colors like yellow, red, pink, orange, etc. All the blooms are open-faced which come with double forms and are easily snappable. .Get your hands on vibrant colors of yellow and orange snapdragons through reliable online floral shops. Snapdragons are annual flowers and are loved by children as it can be easily opened up just like puppets. These flowers can survive the cold and hence, make the perfect choice for flower arrangements in the winter season. Due to the unique hues of the blooms, the flowers are linked to the magical element of ancient Greeks. The colors were said to carry many magical powers within. The flowers may come in more than one color. Hence new varieties are common in this amazing creation of nature. The purple color of the flower is popularly associated with the spiritual nature of the world along with the mysteries. 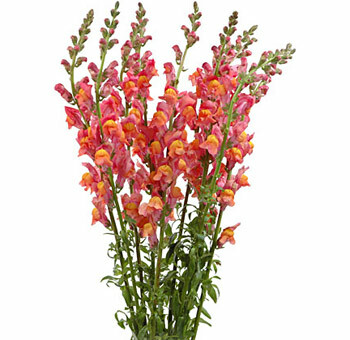 The red snapdragon flowers are known for spreading positive energy with their presence. 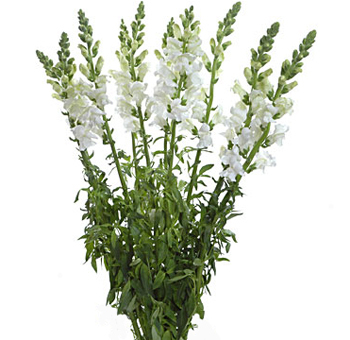 White snapdragons are known for their graceful and subtle nature; they signify innocence and positive power. 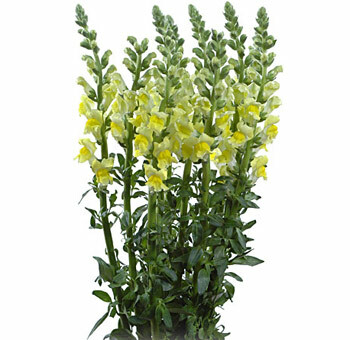 Where to buy snapdragons online at the best quality and price? 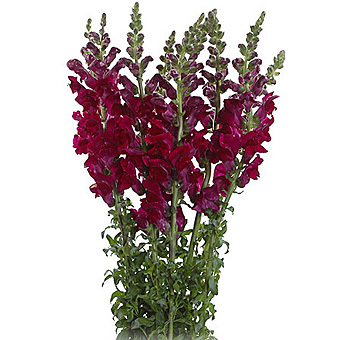 Get amazing snapdragon flowers for sale from trusted online floral shops. 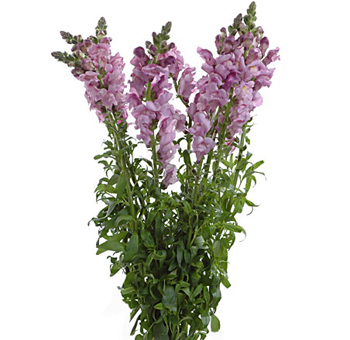 Put your trust in Whole Blossoms to provide you with the graceful presence of Snapdragon flowers. These flowers can be used in different floral arrangements to bring out their beauty. They can be used for weddings or on any special occasion to bring in positive and powerful energy. Snapdragon bouquets can make for an amazing look for the bride with their vibrant color of flowers. Get on board to get the best fresh quality of flowers delivered right to your doorstep by Whole Blossoms. Map out creative ideas with the enchanting blooms of Snapdragon to decorate wedding themes. 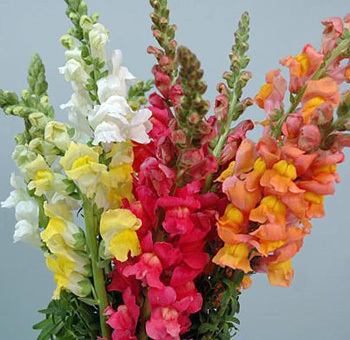 You can easily receive fully assembled arrangements of Snapdragon flowers for your floral design and decorations. The appealing nature of the flower can be combined with other flowers to decorate floral arrangements.